St. Louis Symphony Orchestra "College Connections"
The College of Arts & Sciences recently expanded to include Bachelor of Sciences in Biology and Mathematics in addition to its degree offerings in Criminal Justice, Urban Affairs and Professional Interdisciplinary Studies. These programs provide students with skills for the job market as well as an excellent foundation to pursue graduate studies in a wide variety of academic and professional areas. The program in Criminal Justice (CRJ) has two concentrations, Law Enforcement and Juvenile Justice. These degree programs are designed to prepare students to meet the needs of the criminal justice and national security systems. The flexible curriculum provides each student with an understanding of how policies and practices of the justice system relate to our multicultural society. Career opportunities include, but are not limited to, becoming members of state or local police forces, the Federal Bureau of Investigation, private and public securities systems, juvenile officers, criminologists or attending law school. The degree in Professional Interdisciplinary Studies (PRIS) offers students the opportunity to develop a customized plan of study from not less than two or more than three of the academic areas offered at the University. This approach allows students to create a course of study tailored to their unique career and academic interests. For example, a student might combine study in psychology and management and organizational behavior in order to pursue an interest in human resource development or occupational counseling. The PRIS degree offers the student the opportunity to follow a variety of academic and occupational interests. The Urban Affairs program offers two areas of concentration, Urban Affairs and Public Administration. The degree program is not designed to provide direct entrance into any area of public education; rather, the objectives of this program are designed to equip the student with analytic and applied research skills, which are useful within the public, nonprofit and private sectors concerned with urban problems, urban development and community services. Students who major in this degree program have opportunities for entry-level positions in a variety of areas and organizational settings, including nonprofit organizations, consulting firms, state and local agencies, policy analysts, staff assistants, urban planner, program developer or in the human service area and community development. Harris-Stowe’s Biology program prepares students for a plethora of career options, including the health care industry, the “green” industry, biomedicine and biotechnology, to name a few. Students can also utilize their Biology degree for furthering their education in medicine, veterinary medicine, occupational science and therapy, physiotherapy, audiology, optometry, podiatry, dentistry, wildlife management, and agriculture and nutrition. Students pursuing the Bachelor of Science in Biology have the option of specializing in one of two emphasis areas: Pre-medicine or Urban Ecology. Harris-Stowe’s Pre-medicine minor offers a judicious selection of electives, such as Human Anatomy and Physiology, Microbiology and Biochemistry. The health care industry has a promising job outlook; according to the Bureau of Labor Statistics, the number of employment opportunities in health care will increase through at least 2016. The demand for Urban Ecology professionals continues to increase as the need for living “green” becomes ever more imperative. Concern over global warming and energy consumption has led to planning more energy-efficient cities, examining urban health and social issues, correcting mass transit issues, exploring urban agriculture, and searching for renewable energy. Urban Ecology students will learn about both environmental law/ethics as well as energy science. Statistics students will learn to analyze data that are critical to medical studies, environmental studies, government surveys and market research. Harris-Stowe Statistics courses include Probability and Statistics for Engineering and Sciences, Biostatistics, Fundamentals of Probability and many other topics. Applied Mathematics is essential to product development and optimization in the fields of science, engineering, technology, and new fields are constantly emerging. Students can expect to take courses in Electricity and Magnetism, Mathematical Modeling and Numerical Analysis, among others. Pure Mathematics professionals are ideal candidates for working in brokerage firms, commercial banks and companies in aerospace, insurance, pharmaceuticals, manufacturing and consulting. Pure Mathematics students may select courses in Abstract Algebra, Functions of Complex Variables, Topology or Real Analysis. 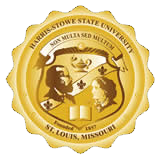 Interest in the study of mathematics at Harris-Stowe is promoted and sustained through two extracurricular organizations. The HSSU Math Club meets regularly to explore solutions to familiar and unfamiliar mathematical problems in an interactive and informal format. Membership in Kappa Mu Epsilon, a national mathematics honor society, is available to students who meet certain academic requirements.